The ultimate in understatement and elegant dining. 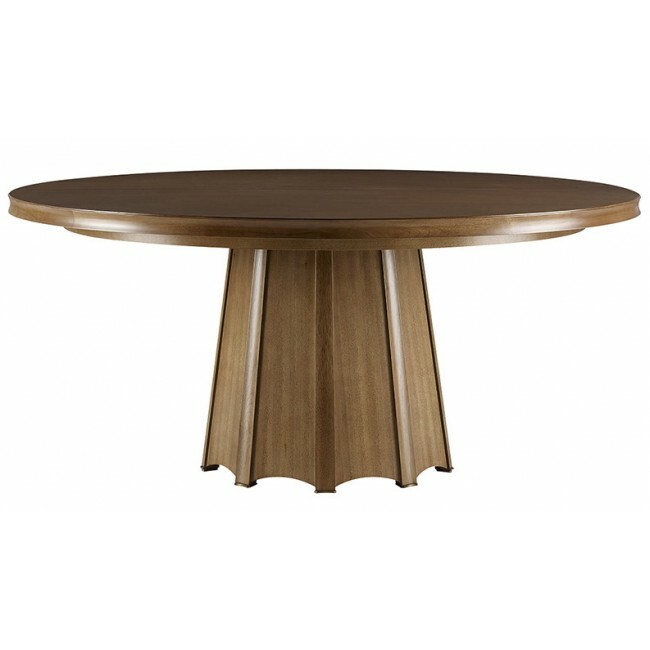 This generous table has a subtle veneer patterned top that echoes the octagonal base. A sensual coved edge encircles the edge and can be accented with burnished gold leaf. Light plays off the rhythmic base of wide fluting that rests atop bronze pads. An exquisite statement piece for fine gatherings.